New product overview from RevZilla for the month of July 2010. We feature some brand new gear as well as some products that flew off the shelves when we first got them in. They are fully back in stock. We just got a ton of Arai RX-Q Helmets. When these first shipped earlier this year, we sold through our stock in a hurry. For a while all you could get were Smalls and Extra Larges. Now we have a full supply in all sizes and colors. The Klim Adventure Rally Jacket & Adventure Rally Pants, an absolute bombproof dualsport all-season outfit, is fully back in stock as well. The original production wasn't enough as this best-in-class outfit didn't stay in the warehouse very long. The good news is it's back, and we have a lot of them. On the stylish riding shoe front, Puma has just released a black-white version of the very popular Puma Flat v2 and an all-blacked-out version of the brand new Puma Testastretta II. These boots are sweet and they look great on and off the bike. Brand new to the RevZilla lineup is Forcefield armor, a premium protection option from the UK. Forcefield is worn by a number of top pros, and they utilize advanced technologies and intense R&D to make some of the best motorcycle armor we've seen: flexible, comfortable, lightweight, but offering exceptional protection that sets it apart from the rest of the pack. 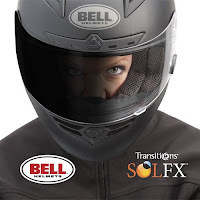 Last but not least, the Bell Photochromatic Shield will be shipping from RevZilla in late July. We're currently taking pre-orders. The Photochromatic Shield fits the Bell Star & Bell Vortex helmets and utilizes the Transitions lens technology to automatically adjust to light conditions. In low light, the shield is crystal clear but in the sun, it darkens to a black smoke. 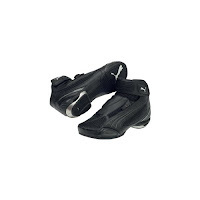 Check out all of the new products at RevZilla by visiting the New July 2010 Motorcycle Gear segment of our site.